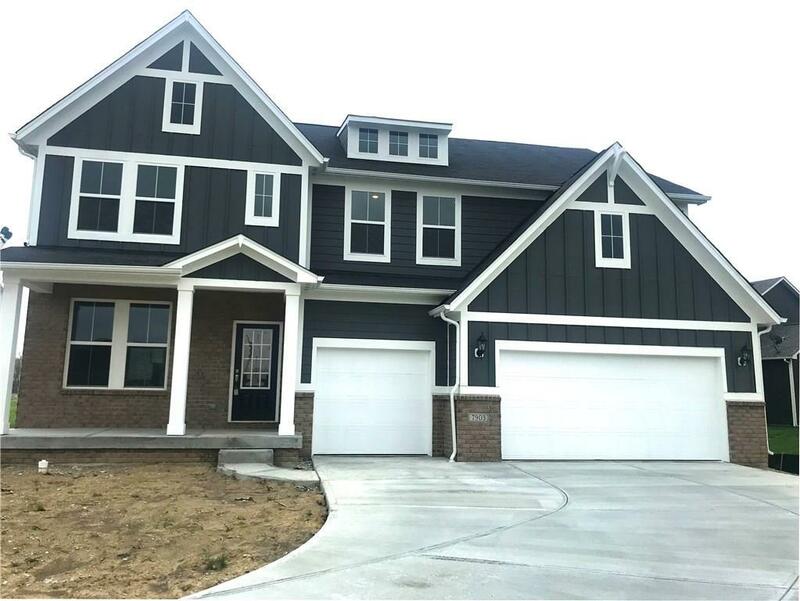 This stunning Vanderburgh floor plan by Drees is located in our popular Woodcreek Crossing community in Avon! The covered porch entrance leads you into your large foyer with a private dining room w/ barn sliding doors! Open concept living with your family room, kitchen and breakfast room. Kitchen has granite countertops w/ white cabinetry! Move the party outdoors onto your covered portch! Additional 5th bedroom w/ full bath for your guest on main flr. 2nd flr master w/ tray ceiling and luxurious bath w/ double sink & a huge walk in closet! 3 additional sizable bedrooms, full bath, and massive gameroom for additional entertaining! Envision what your full unfinished basement could look like with your final touches!